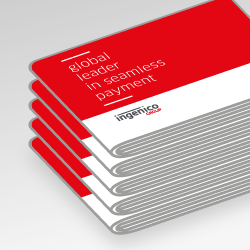 Ingenico Group - Ingenico Group takes strong lead on EMV in the U.S.
Ingenico Group takes strong lead on EMV in the U.S. According to the latest Nilson Report, Ingenico Group (Euronext: FR0000125346 - ING) increased 10 percentage points of market share to 27% in the United States in 2014. 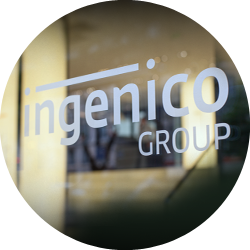 The United States is now Ingenico Group’s second largest market, where the Group now serves three times more SMBs than in January 2014, showing its ability to rapidly conquer new territories. 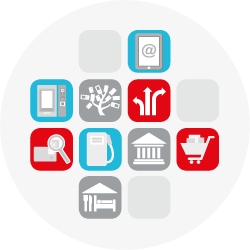 In 2015, Ingenico Group confirmed its large EMV footprint in the United States, winning new customers and expanding into new vertical markets such as Lodging. The October 2015 liability shift is now approaching and over 90 percent of large retailers will be EMV-ready by October 1. However, the penetration rate among small merchants will be less than 50 percent. 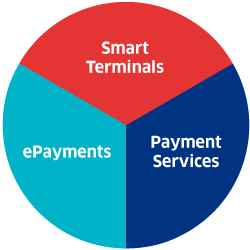 Considering that small merchants represent 75 percent of the POS market, no less than 55 percent of the entire U.S. market will still have to migrate to EMV after the shift”, commented Thierry Denis, EVP North America at Ingenico Group. “2016 will undoubtedly open new opportunities for growth. 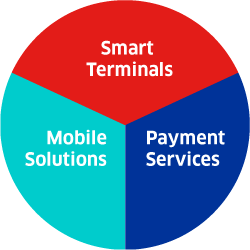 We are the trusted partner for merchants and payment industry players in the U.S. and we are confident that we will continue to capture the shift to EMV and gain market shares”. Despite a high basis of comparison with 2015, the Group today anticipates sustained demand in all vertical markets and expects to achieve another double digit increase in sales in the U.S. next year.